Towards the end of the 1600s, when the map was made, it would have been a prized possession. Seven feet by five feet, backed by canvas, it showed the whole world, with views of magnificent cities running along its sides. It would have been expensive and a symbol of power: whoever bought it was rich enough to own the world. But at some point someone rolled the map up and unceremoniously shoved it up a chimney — most likely to stop a cold draft. Recently, the map showed up at the National Library of Scotland. It was in terrible condition. During its years in the chimney, it had been attacked by mice and bugs, and the paper had grown brittle and fragmented. 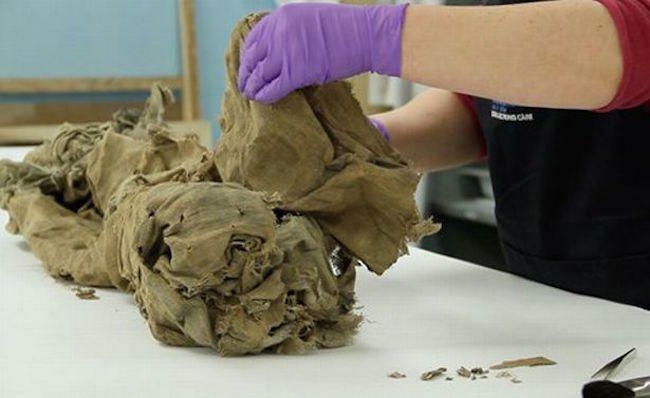 The man who brought it to the museum, having found it during the renovation of a home in Aberdeen, showed up with a plastic bag of what looked like “a bundle of rags,” the museum says. But with painstaking work, the museum’s conservators were able to unfold and restore the map. Saving it was no small task, though. 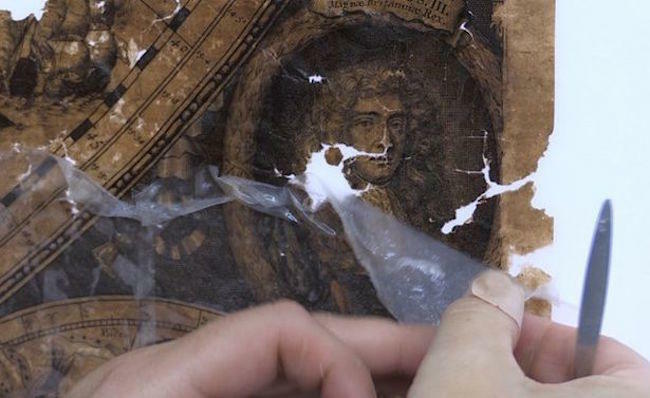 “I’d never seen anything in such poor condition,” one conservator says in the video below. “Never have I worked on anything quite so bad as this,” says another.